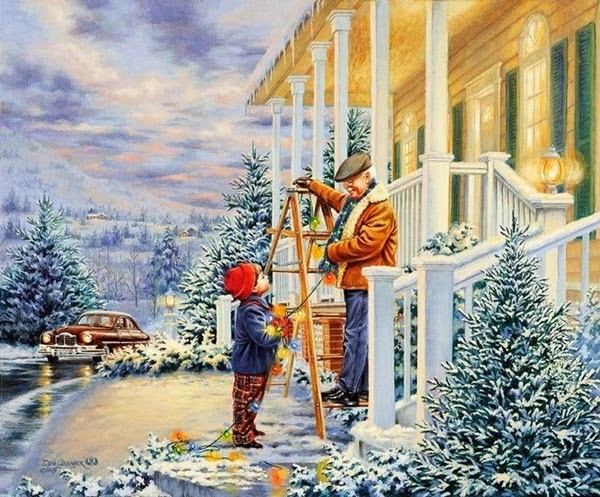 Are We Into The Christmas Season? 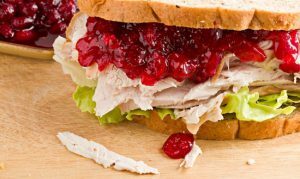 I still have Thanksgiving leftovers!!! 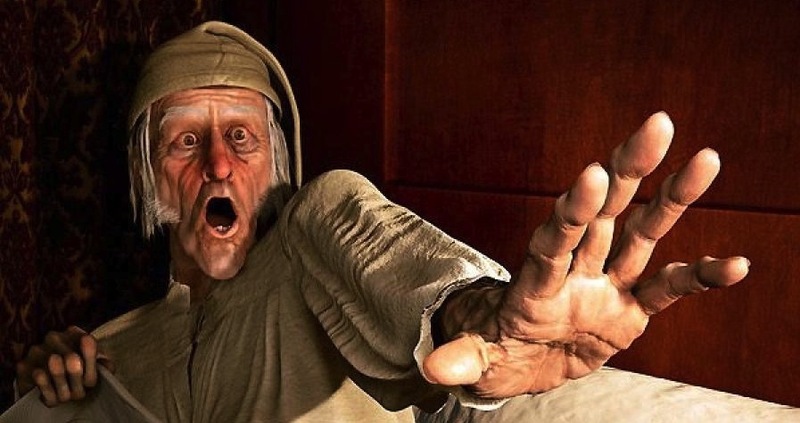 Does Black Friday kick off the Christmas Season . . . or when the Thanksgiving leftovers are gone? Or is it when you bring in your Christmas tree? It seems many of us prepare for Christmas throughout the year. There’s that popular Christmas in July thing in which many people participate. And there are always those of us who need to “feel like Christmas” in order to get into the spirit of it. I know some love to do things at the last minute. It’s their thing. Well, Christmas is coming if we’re ready or not!!! So, I guess we might as well jump on board. We do, however, have a little while before December. That seems to be the turning point for me to get geared into the Christmas thing. I know there are many getting in on the Black Friday deals and decorating their homes. 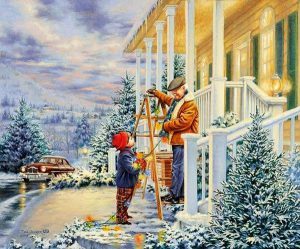 Some Christmas lights are going up in my neighborhood. They’re quite eager to get Christmas coming. I do wonder about all of this. I may be a bit of a Scrooge . . . but I don’t mean to be. It seems the older I get, the slower I am to jump into the next season, holiday or otherwise. Yet, with a blog, it is important to be on-top of all of these festivities . . . They do seem to be coming at a fast pace . . . I really am excited about Christmas, just as I was about Thanksgiving . . . and Halloween before that . . . Wow! Then there’s the New Year!!! Goodness!!! Time does go by quickly . 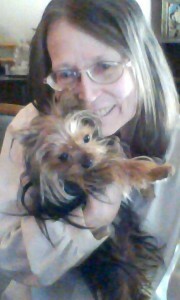 . .
I’m sitting on my front porch, drinking a cup of coffee with my precious Yorkshire terrier on my lap watching the neighbors putting up their Christmas decorations . . . It amuses me, rather than motivates me to do the same . . . Some are motivated by their family being here to give a hand . . .
It’s all good . . . even the neighbor down the street who left theirs up since last year . . . or was it the year before? They’re all set to just plug it in. It’s always exciting to see what others are doing and to go out at night and see how the town has caught the spirit of Christmas as well. Some people do some elaborate displays. I’m glad my neighborhood doesn’t do the competition thing as I’m sure you’ve seen in the movies. That seems to take all the fun out of decorating for Christmas . . . but that is merely my humble opinion. However and whenever the Christmas bug bites you into shopping or decorating . . . Enjoy!! Thanksgiving Day finally arrived and here in Southern California I can hopefully say so has fall!!! I was out and about yesterday wearing my sweatshirt with a hood — it was supposed to be windy, and I like to cover my ears on windy days. I did some shopping . . . parking was a bit of a nightmare . . . but I was able to get some exercise . . . I usually don’t like being in crowds, but there is an energy in the air when preparing for a holiday dinner with family and friends. I’ve heard so many times how important it is to “live in the moment.” This isn’t easy to do . . . we think of the past and are bombarded with thoughts about a future event . . . I was thinking of papercrafts . . . all those projects I started and didn’t finish . . . But, then thinking ahead to spring . . . and this great Bungalow Sizzix Die i have . . . But it could be for Christmas . . . everything is adaptable for any season . . . It is a cozy little place I would like to visit for Thanksgiving, too. 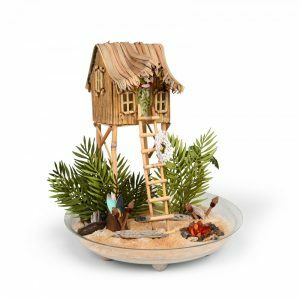 And then my thoughts shift to the Sizzix Surf Shack . . . There’s something quite relaxing and mellow about that, too . . . I have a friend who has a beach house in South Carolina . . . the hurricane did quite a bit of damage, but she’s fixing it up . . . and took a picture of a couple of alligators soaking up some rays in her yard . . . I can appreciate this Surf Shack on stilts . . . don’t want to get cozy with the wildlife . . . There is so very much to do . . . and so little time . . . Amazing how difficult it is to stay in the moment. 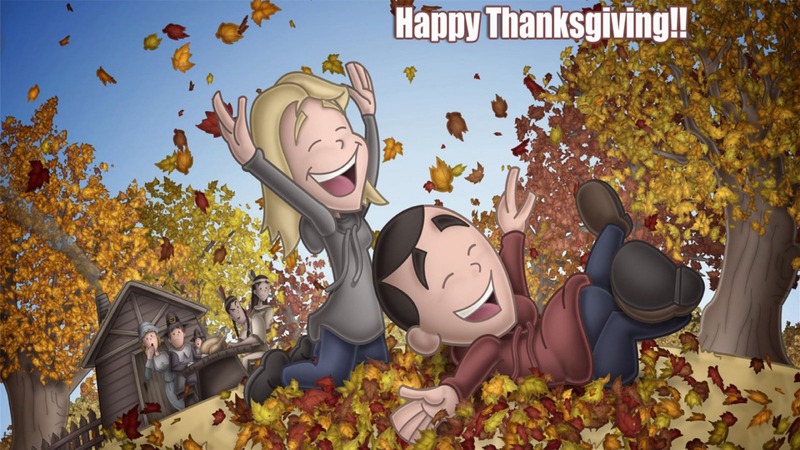 On this Thanksgiving Day it is worthwhile to take a moment and reflect upon the goodness we have in our life . . . good friends . . . a loving family . . . being able to play a musical instrument, draw or paint a picture . . . do papercrafts . . . or whatever you find enjoyable and relaxing . . . I have a neighbor who enjoys putting together jigsaw puzzles . . . Some people enjoy reading or watching movies . . . Others like to shop . . . There are those who love walking and taking pictures . . . It’s all quite wonderful . . . We do have much for which to be thankful . . .
Today is beautiful . . . no matter the weather . . . there is beauty to see . . . And a feast to share with family and friends . . . This is a wonderful day to celebrate . . . maybe not for traditional reasons, but reasons of your own . . . It is your Thanksgiving after all. Many of you may be anticipating Black Friday . . . or Cyber Monday . . . or both . . . or just take a deep breath . . . relax . . . and live in the moment. Until next time . . . Thanks for stopping by! A good “whodunit” always intrigues me. It goes back to Nancy Drew for me . . . and the Clue game . . . and then the TV Columbo and Murder She Wrote . . . and then there are movies and older books . . . as well as popular writers today . . . The thing is, the concept of finding a body floating in a pool is a theme that has been used in literature and movies for years . . . There are hundreds of thousands of twists that have been suggested and we may still be interested in learning more . . . But, it may not be how the person died, but who the person was and all the friends and neighbors, coworkers and acquaintances who knew the victim that interests us and makes up the story. Sometimes the story is opened ended and leaves you hanging . . . but you may feel confident you know “whodunit” . . . or it’s something you discuss with friends or family . . . comparing notes and thoughts . . . It can be quite haunting, finding you’re thinking about it from time to time. I suppose a good mystery does that. I’ve always wanted to write a good mystery, but, as yet, haven’t gotten the characters and the plot together to make an interesting story . . . It does seem my mind is chewing on it . . . I remember a book that came out 2 to 3 decades ago inviting people to solve the mystery. I remember it being a complicated plot and getting lost within the story and quite frankly losing interest in it as well. I think someone did solve it and won a cash prize. I do congratulate that individual for muddling through the story and untangling the web or red herrings that ran through it. I have gotten hooked on these Hallmark mystery series. I like DVDs I can share with the whole family and then discuss it later . . . I watched a DVD the other day that I found interesting enough to review here. It stars Aley Underwood and Bernie Diamond. The DVD was released in 2012. It’s not a new movie, but it’s not all that old . . . I’ve found movies with an inspirational message are actually timeless. This is a heart-warming movie about a man who writes letters to complete strangers. He has quite a natural gift of expressing his thoughts to uplift others. He randomly selects names out of the telephone book . . . and writes one letter daily and also writes 10 inspirational notes he hands out daily, all for the purpose of uplifting the spirits of others. He uses a pen name, Sam Worthington. This is an older gentleman living in a nursing home, who writes anonymous letters full of praise and encouragement. When Maggy Fuller, a rebellious teenager, receives her anonymous letter from the elusive Sam Worthington, she has to find him — to meet him. This is truly an inspirational story that the whole family will enjoy. I highly recommend it. This reminds me of the concept of “paying it forward” — doing good deeds for others. It truly is positive to use your gifts in a positive manner . . . His reward was giving his best . . . and receiving a “thank you” . . . I don’t really want to spoil the movie . . . but Sam Worthington did help young, rebellious Maggie Fuller — who was actually a good young woman with a heart of gold . . . except when it came to her mother . . . but those are the teenage years . . . I do hope you purchase The Letter Writer to share with your family and friends this holiday season. There is always a degree of apprehension and anxiety when faced with change . . . along with disappointment, discouragement . . . which leads to challenges and looking for the positive . . .
For some, there may be a pay off to being unhappy, angry, disappointed . . .
For others, in spite of disappointments, we look for the positive . . . the challenges within ourselves that we must face to accept not getting what we want to something not being what we thought it would be. I was all into the concept of die cuts and how wonderful it would be to have a plain template . . . but then, having something ready-made seemed to appeal to me more . . . Allowing me to see where I was going . . .
And changing something to my liking from a ready-made printable seemed the easier way to go. But, in truth, it all comes down to your personal comfort level. Initially, I was overwhelmed by the pieces, as above, that didn’t seem to have a purpose . . . because I never put it together before . . . and it didn’t look like anything . . . 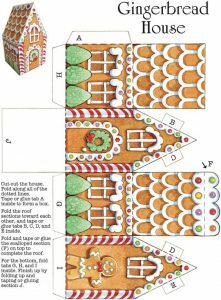 But there are more possibilities for creativity and individuality with the die cut pieces than the ready-to-print-out-and-assembly Gingerbread House. It does go together nicely and it does have all the icing and embellishments in place . . . The first one will look the same as the second . . . fifth . . . tenth . . . fiftieth . . . There is no surprise there . . . unless I decide to alter it in some way . . . but such alterations may be much more work than if I started with a die cut template. 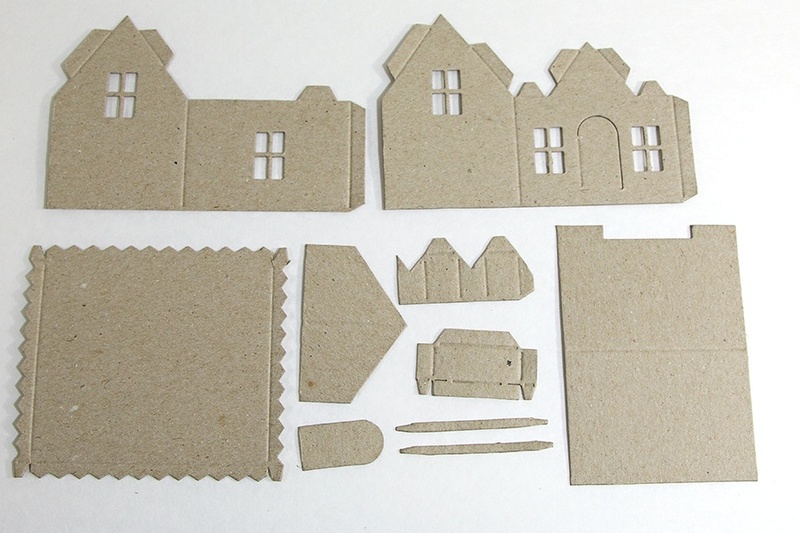 Yes, if I want, I could make the die cut elements above into a gingerbread house. I can add a wreath on the front door . . . I could make a fence of gingerbread children . . . I can cut out white window frames . . . and add some white “frosting” to the roof tiles . . . And candy canes . . .
Now look back at the first image . . . The die cut . . .
You have a decision to make . . . What color card stock to do want for the body of the house . . . and for the roof of the house . . .
With the die, I had to decide at that point the colors and cutting the card stock and place it over the appropriate places . . . and later learned how I should have taped it down so it wouldn’t slip . . . Yes, I was initially overwhelmed and a bit disappointed . . . But, it was all a matter of getting out of my way that I realized there was a learning curve for me . . . I didn’t like it . 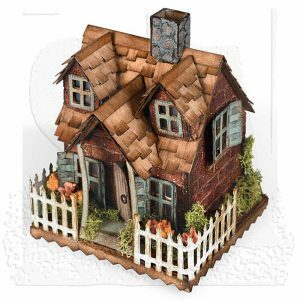 . . but if I wanted to create something different each time I made this Tim Holtz Sizzix Village Dwelling, I’d have some decisions to make . . . and it started with the first one . . . an experiment . . . and maybe several experiments until I got it right . . . I had to learn the die . . . and the Sizzix Big Shot . . . then assemble the pieces . . . and decide what else I wanted to do with it . . . add a different roof pattern . . . add a siding pattern . . . It takes a bit of trial and error . . . and some disappointment that it didn’t turn out as initially imagined . . . but it was all about learning . . . and facing each challenge head-on. I was watching a movie yesterday about this mathematical genius . . . who really didn’t fit in with others . . . not understanding the dynamics of relationships . . . except those associated with numbers . . . He did learn how he missed out on things . . . and found he wasn’t “all that” . . . especially when it came to his relationship with his mother . . . And, in the end, after waiting for her son to respond to her . . . they learned how to communicate . . . This gets me to a YouTube video I watched of an interview with an adult who had a famous mother . . . and the relationship they had . . . which wasn’t so much love . . . as respect . . . an admiration of her mother’s talents and abilities . . . It struck me a bit strange . . . Yet, many famous people may be incapable of love or conveying it to their children . . . It is all about them . . . their career . . . their life . . .
It’s all a matter of perspective . . . and how we deal with it . . .
Life isn’t easy . . . we are faced with challenges . . . disappointments . . . successes . . . The same applies with crafts. The whole concept is to have fun . . . to make something . . . So you get all the tools and paper . . . and find it isn’t as easy as it looks when watching someone else. You can always throw in the towel and give up or pout and throw the whole thing in the trash . . . or realize it is a bit of a challenge and the first effort may not work out . . . or even the second . . . third . . . oh my gosh! fourth . . . But, each time, you get a bit closer to achieving your goal. Just know that there may be another failure after a success . . . There are no guarantees. There’s no guarantee that the more you work at it, that you will succeed . . . It depends upon your perspective of success . . . and respecting the tools for what they are . . . and recognizing their limitations . . . as well as your own . . . but having a determination to figure it out . . . There are always these wise people who have these wise sayings . . . but we can never bring them to mind when we need them . . . So, we need to rely on ourselves . . . depend upon ourselves . . . be gentle with ourselves . . . accept that we’re not perfect and things aren’t always easy . . . and alternatively, things aren’t always difficult . . . We may have cycles of success . . . and cycles of failure . . . but it’s just a cycle . . . and we have to go through it until the tide changes . . .
We control our thought, our actions, our feelings . . . there are some things we can’t change . . . nor control . . . but we can focus our perspective . . . we can look for the positive . 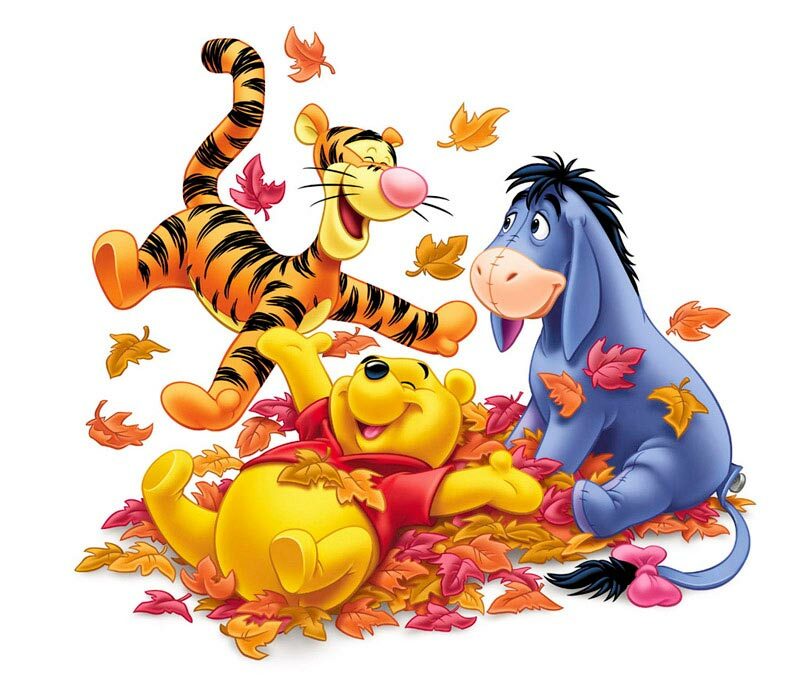 . . strive to find something funny or different or interesting or unusual each day . . . Surprisingly, you’ll find it . . . because you’re looking for it . . . So, what we may be unable to do one day . . . we may be able to do the next . . . This applies to all things in life . . . I know I throw a lot of concepts at you all at once . . . You may be wondering what I’m thinking . . . But, if you’ve ever had a conversation using Two Cans On A String . . . you miss some stuff and have to fill in the blanks . . . And, drawing the string of what connects life, movies, interviews and crafts together . . . is your challenge of filling in the blanks to make sense out of it for you . . .
Oh! I almost forgot!! Click the image of the Gingerbread House on the left to be taken to a PDF you can print out, cut out and assemble. It’s a great treat/gift box.